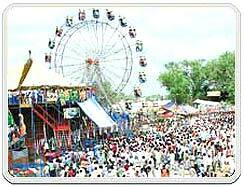 Fairs & Festivals of Punjab | JNR GLOBETROTTERS PVT. 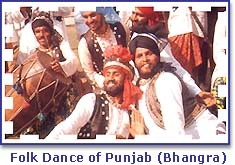 LTD.
Punjab has traditional, religious and state festivals organized and celebrated throughout the state. These festivals are full of messages and are linked with Punjab’s culture and reflect the various phases of its life depicting some of the distinct Punjabi traits. 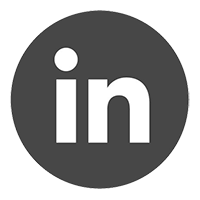 Some of these festivals such as Holi, Diwali, Dasara, Mohurrum, Shivratri, etc. are celebrated nation wide. Lohri marks the end of winter and for Punjabis, this is more than just a festival, as it is an example of a way of life. Lohri celebrates fertility and the spark of life. People gather round the bonfires, throw sweets, puffed rice and popcorn into the flames, sing popular songs and exchange greetings. Basant Panchami heralds the advent of spring. Fully blossomed mustard fields glow all over rural Punjab in gorgeous golden yellow. The Basant fair is held in many villages of the Punjab. People put on yellow costumes appropriate to the season looking like a huge mass of mustard blossom walking down to the fair. 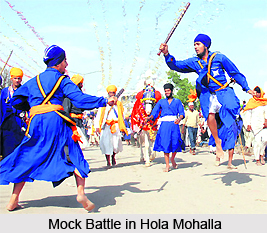 Hola Mohalla, Anandpur Sahib Hola Mohalla, celebrated in Anandpur Sahib was started by Guru Gobind Singh in 1700 AD, adding spiritual and martial elements to Holi, as a gathering of Sikhs for military exercises and mock battles on the day following the festival of Holi. Baisakhi is the first day of the New Year in the traditional Vikrami calendar and it is one of the high points of the year for Sikhs as it is the anniversary of the founding of Khalsa. It is celebratedin the village of Chhapaar in Ludhiana District, every September, to propitiate Guga-the Zahir Pir. He is known as the Lord of the snakes. It is believed that snake poison is neutralised by his grace and barren women are blessed with offsprings. 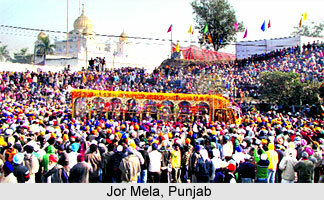 Thousands of devotees take Guga Pir in a procession. Peoples of different faiths paricipate in the Mela. 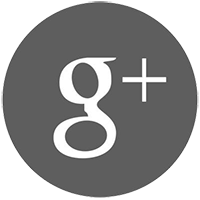 The festivals held in association with the lives of the Sikh Gurus are called Gurupurbs. 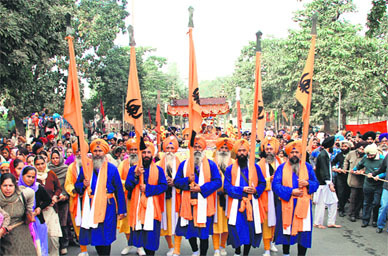 The important Gurupurbs celebrated are the birthdays of Guru Nanak and Guru Govind Singh and the martyrdom days of Guru Arjun Dev and Guru Teg Bahadur.